At Caribbean Gardens and Market there are so many attractions on offer. It’s the perfect family day out, whether you want to shop in the market, watch the kids on the rides or playground, or even grab a bite to eat in our cafe. The rides operate at the below times. Please note that all times are subject to weather conditions on the day. Please also check website regularly as these may change from time to time. 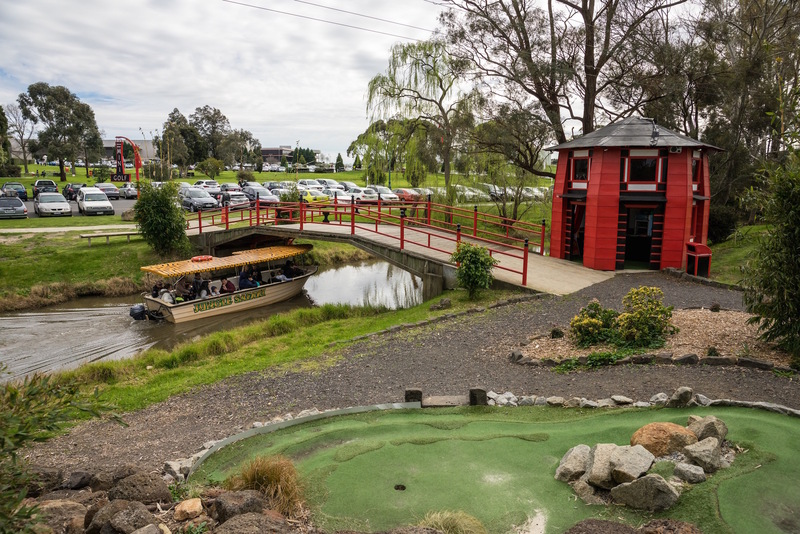 Challenge yourself or a friend with our exciting 9 hole mini golf! Set in our beautifully landscaped Japanese Gardens, it has been 10 months in the making and is sure to excite all! Whether you’ve never played before or are a keen golfer, this course is sure to offer an enjoyable and challenging experience for people of all ages! Why not experience the whole of the Caribbean Gardens by Train. 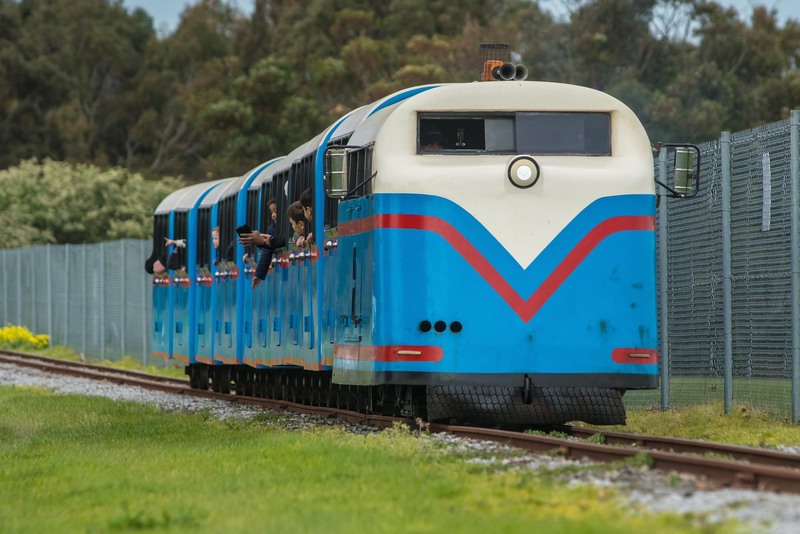 The Train travels approximately 5km right around the perimeter of Caribbean Gardens. The journey takes around 15 minutes where you will travel along the edge of Lake Caribbean passing through the market area and finally stopping back at Grand Central Station. 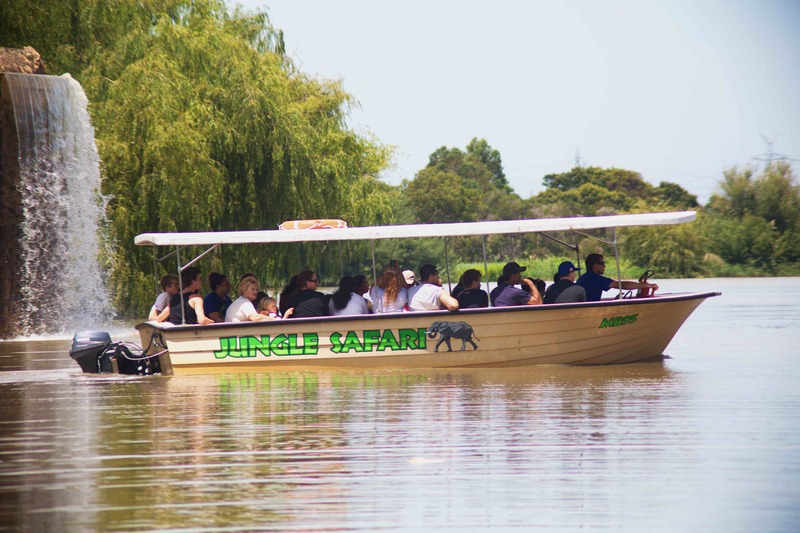 Come and enjoy an exciting boat ride on our Jungle Cruise around the islands of Lake Caribbean. Here you will see plenty of wildlife and interesting exhibits such as the water wheel and the goldmine. Keep an eye out for the boat accident, the man on the toilet, and try to find the giraffes on your 15 minute adventure as you weave in and out of the islands. You can sit back and relax, taking in all the spectacular views of the entire Caribbean Gardens. On your 15 minute journey, you can watch the boats traveling underneath and check out the wild life and the islands from overhead. 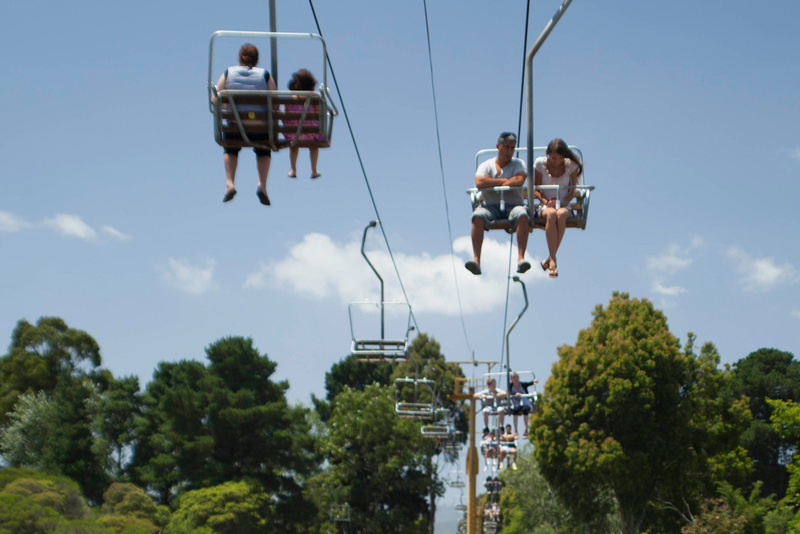 Whether you’re here with friends, romantically inclined, or here with the family, a trip on our chairlift will be a very enjoyable experience for everyone. The Jumping Castle, Beach Jeeps and the Bungee Trampoline operate every Sunday, plus Wednesdays during school holidays (weather permitting). Please note: rides may vary on Market days. In addition to the ride we have very unique attractions with two tanks and one canon. Caribbean Gardens boast three playgrounds for various aged children. These playgrounds include: swings, slides, climbing frames, flying fox and interesting features such as a boat and hippopotamus!